The book of Habakkuk is a compilation of the prophet's laments, not an accusation against Israel and its sin or a message to the people on God's behalf like some of the other prophetic books. Instead, Habakkuk questions God's goodness because he sees so much injustice, evil and tragedy in the world. He's also concerned because God plans to send Babylon, an intensely evil nation, to judge Israel. Israel has become violent, unjust and corrupt, and Habakkuk asks God to intervene. God replies that He will use a terrifying empire to judge Israel. Habakkuk hates that God would use an incredibly violent and corrupt nation like Babylon to judge Israel. God replies that all nations will be accountable. 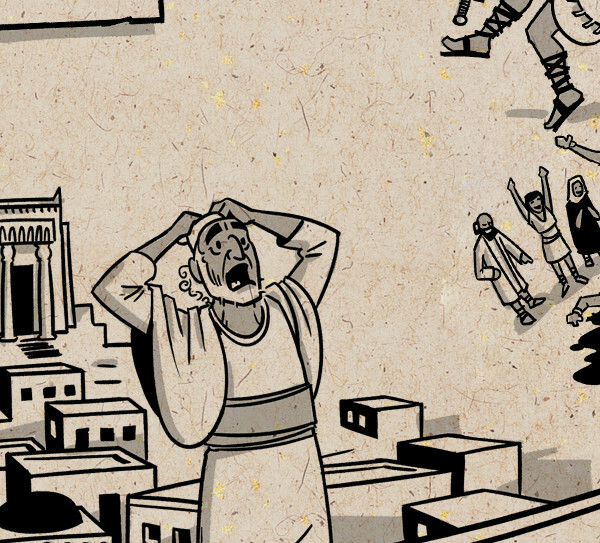 Habakkuk lists five woes perpetrated by Babylon. However, most nations eventually perform these same violent, unjust and idolatrous injustices because of the sinful human condition. Habakkuk pleads for God to act and end corrupt nations. God's powerful appearance illustrates that when He eventually confronts human evil, everyone will pay attention. The book of Habakkuk ends by comparing the ancient exodus and a future exodus when God defeats evil, brings justice and rescues all the oppressed. Throughout the book, we see that Babylon is an example of any nation that exalts itself above God and practices injustice, violence and idolatry. In the end, God reminds Habakkuk and every generation that God will deal with evil. We can continue to love and trust His timing and plan as we remain faithful to Him. The book of Zephaniah shows how God's justice and love work together to give the world hope. A consuming fire, His justice purifies the people, and His love restores Jerusalem for the nations.